Beg bugs are a common pest that affects most of the nation, and they stick around all season, unlike most other pests, which means they can be a year-round problem. 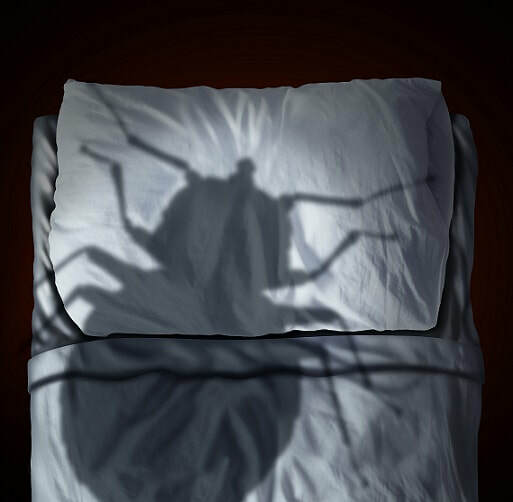 Once you spot a bed bug, if it is left untreated, it can lead to infestation pretty quickly. In fact, each female bed bug can lay more than 400 eggs in just a short duration. Our technicians are familiar with the species of bed bugs that affect this area and can employ the most effective bed bug treatments based on tried and proven methods of bed bug removal to rid your home or office of these nuisances. For instance, our bed bug steam treatment has been scientifically proven to combat against bed bugs. According to research, steam is an effective method for terminating bed bugs no matter their stage of development, provided the steam produced by the tool gets scorching hot. Our steam machine is designed to terminate bed bugs. It produces intense heat that not only eliminates bed bugs on the exterior of objects but also extends deep into cracks and crevices where bed bugs like to hide to completely rid you of your bed bug problem, so you can sleep peacefully. Don't wait until you sight pests around your home to do something, which by then could already signal an infestation, which can be more costly and time-consuming to treat. We're ready to handle any problems with bed bugs Yuba City. Instead, consider incorporating preventive pest control services, which include a thorough inspection of your property as well as a pest control recommendation, if necessary, to help prevent the possibility of infestation early, which can help save time and money. For more information on how to recognize the signs of a pest infestation, or to learn more about how we can treat your pest problem, contact our friendly customer service who is standing by waiting for your call.